Providing transportation to Hungarian lakes. Taxi, Bus, Limousine Service. A lake of velvet-smooth water, sails billowing in the wind, sunshine, sandy beaches, familiar and happy holidays but as well the country of delicious wines, peacefull valleys and woods of the Balaton highland. 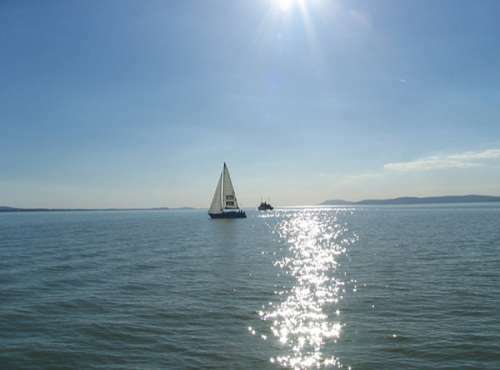 Balaton, the largest lake in Europe can be found in the western part of Hungary. Its lenght is 77 km and the average width is 8 km. The climate is very pleasant, the water gets warm really early, which allows the season to start early in the spring and continue till late autumn. At the sandy southern shore the water is very shallow, so its temperature is above 25°C during the summer period making it a suitable destination for families with children. The lake is perfect for water sports offering different facilities. Sailing has an over 100 years old tradition and sailing boat races are often being organized here as well. The frozen surface during winter offers great possibilities for ice-sailing or skating. Horseback riding, biking or hiking is also possible in the surrounding woods of the Balaton district. 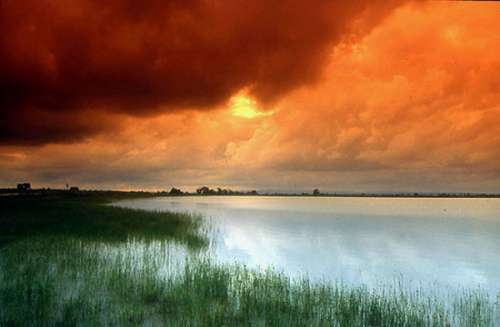 The Ferto is the third largest steppe lake in Central Europe. The waters are on average 50-60 cm deep. The lake is characterised by the high salt content in the water and the great changes experienced in its water level. The lake is believed to be 20 thousand years old, being created by the movements in the earth’s crust at the end of the Ice Age. 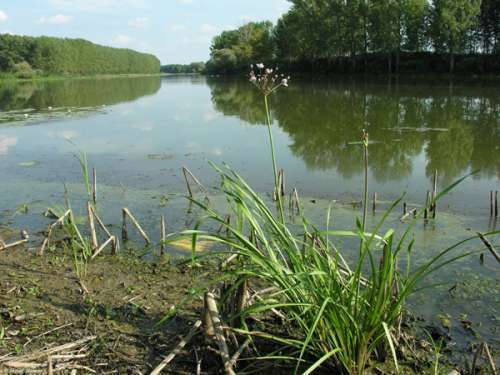 The silting up of the lake means that the reeds on the Hungarian side of the lake covers 88 percent. Of particular beauty are the Fertomellek Hills, which run along the western shore of the Ferto. It is a perfect place to spend some quite days in the nature, near water and hills in one of the wide range of hostels or hotels that can be found here. The man built beauty of the region (in Fertod) is the Esterhazy Castle. The Castle of Fertod, the Hungarian Versailles, is one of the most beautiful castle complexes in Hungary. Its construction begun in the years of 1720 under tyhe conrol of Prince Jozsef Esterhazy. J Haydn, the last court-composer in the history of music, had been almost two decades in the service of the Prince (the first two permanent theatres were built in the residence of Esterhazy family as well). Now, remembering the older times, every week from June to September, concerts of classical music are given in the ceremonial hall by distinguished domestic and foreigh artists, accompanied by symphonic and chamber orchestras. This lake is similar to the Balaton (of course smaller)- advised to those, who want to spend their free-time near (and in) the water. It is perfect for swimming (the lake is shallow enough to be safe for children), sailing (on organised basis with the Lake Velence Sailing Association). During the summer plenty of fishing, canoeing, rowing competitions takes place. Windsurfing is also popular. The water meadows have also their own special natural environment. More than half of the marshes are covered in reeds. Several kinds of orchid, iris, and milk-vetch can be found there. Although Hungary’s second largest lake was created artificially at the beginning of the 1970s, the landscape around the islands, the dead channels and the ox-bow lakes successfully give the impression that they are much older than they actually are. The lake is situated on what was a flood-plain, and on the flooded territory of the River Tisza in between the water barrages, there are sixteen islands and ten water channels. The Lake Tisza region has been inhabited since the New Stone Age. Most of the settlements you can see today were built in the Arpad period. Tiszafured, with its administrative functions, its river crossing, its market and light industries emerged as the centre of the region. The lake is perfect for water sports lovers, and is also a gret place to go for a family holiday. There are exciting canoeing tours along the Tisza. Alternatively you can cycle all the way around the lake.